So here’s the end product of that recycled-grain bread. It was amazingly delicious with a tangy sourdough taste and a soft gentle texture. 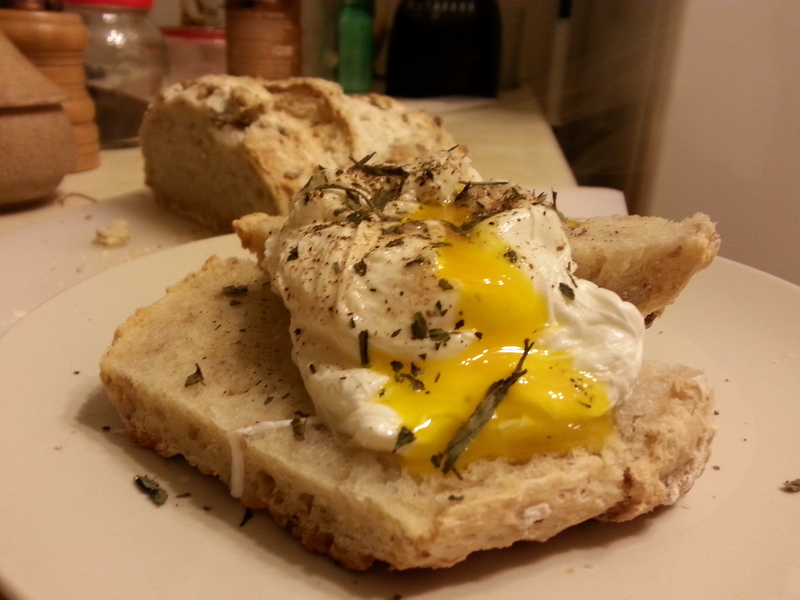 Recycled-grain bread with a poached egg. Meanwhile, I realized that I’ve yet to really talk about the property where my upcoming build and related projects will be happening. Oops, huh? Well my apologies, and I hope to clear up some confusions with this post; I do tend to get ahead of myself. Zada and Zozo, circa 2007 at the West End Beach, St Croix. 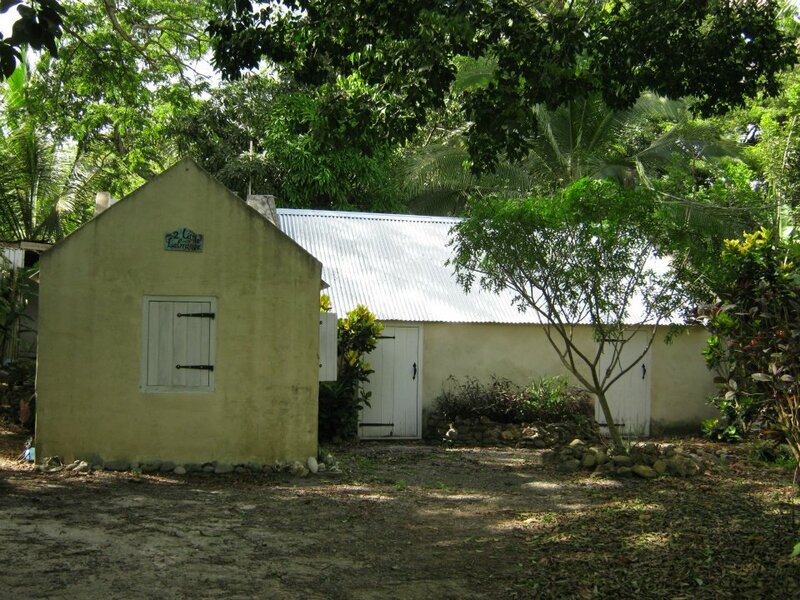 Back in 2006 or so, my mother fell in love with a piece of property on the west end of St Croix, in the gorgeous “rainforest”, complete with a 200-year-old mango tree and a number of [small] ruined buildings from the plantation era. She bought the property, and we moved there, restored two of the buildings, and struggled to gain some kind of control over the several acres of heavily treed land, in a place where kudzu vines grow several feet a week, mongooses sneak into the house, and mangoes form a carpet over much of the land in season, bringing swarms of fruit flies for months at a time. I, being an overachieving teenager with no idea what I wanted to do in life, first secured a deal on an adjacent piece of land, and then threw it all in to run off to college…where I thought I was going to learn something more useful. Well, I did; I learned that college was not for me, certain relationships were not for me, and ultimately that the city and a “normal” life were not for me. Back to the land. The first “house” on the property to be renovated, 2007. 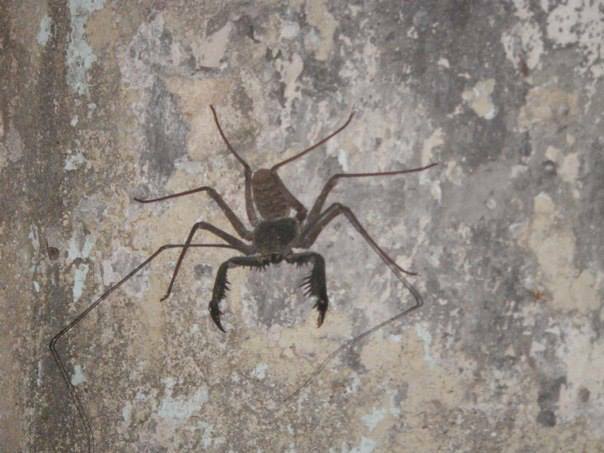 A “Whip Scorpion” terrifying looking but entirely harmless; just another of our friendly cohabitants. So for those of you who are convinced that I’m going off to tame the jungle, pile together a home of twigs and branches, and have a domestic partnership with an antelope…well, not quite. The property already has two “habitable” dwellings, both on mains electricity, with “real plumbing” and water supplied by a reliable well (with an electric pump, can you believe?!). That’s not to say that the power doesn’t go out several times a week, and that centipedes don’t fall from the ceiling, and that sometimes the roof leaks and the floor turns to a sea of mud…but they have all the basic amenities of a “house”. There are many well established fruit trees on the land, from avocados to breadfruit and oranges, and a vegetable garden, kept somewhat in check by whoever happens to be occupying the buildings. There are land tortoises, completely useless but cute, free range chickens for eggs when they can be found, pest control the rest of the time, and one very fluffy chow-chow who keeps everybody toeing the line. 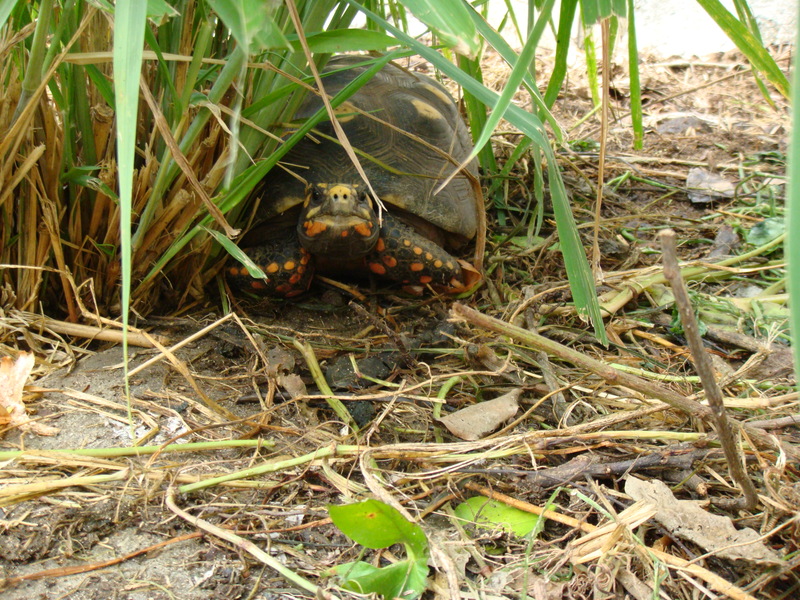 One of several Red Footed Tortoises. Much of the combined property is overgrown with “trash trees”, namely genip and tan-tan trees, which grow up in just a few years forming dense woods which shade out any more useful plants. Some of these will gradually be cleared out in order to make room for garden expansions, and will provide firewood for the bread oven, as well as some basic supporting timbers for the tiny house framework – encased in cement even relatively weak “trash” wood is quite useable, as the cement ultimately does most of the work, once fully cured. Clearing without heavy machinery is going to be quite a process, so I’m currently looking into different methods, preferably avoiding digging many stumps out by hand, which is an arduous process. I dislike the idea of burning out stumps, so more likely I’ll try to plant around them instead – since all the vegetable gardens are tended entirely by hand the stumps and roots may not prove to be that much of a setback. The other matter being pondered currently is the possible use of woven coconut palm leaves as a supporting system for the cement, a likely substitute for the reed mats traditionally used in many places…some experimentation is in order! Meanwhile, it’s time to drive to DC to ship the last few boxes to St Croix, as it’s only 12 days until I fly down to begin this great adventure! What would you like to hear about next? Let me know, and don’t forget to follow Nidulari. Cheers! ‘whoever occupies the land’ is doing a hell of a lot more than ‘keeping it somewhat in check’! But you must not name the hens if you intend to eat them. Not sure I’m up to keeping animals/birds for meat just yet…perhaps one day.